There is the one really off the beaten path, in the Sonneggstrasse, and there is this one in the centre of Brussels, better known as the Manneken Pis [little man peeing]. Actually, there are a few of them laying around: the figure was repeatedly stollen and versioned for other cities. The original work, made by Hiëronymus Duquesnoy the Elder circa 1618 is kept in then nearby Maison du Roi/Broodhuis [King’s Household]. The one in public display was made in 1965. 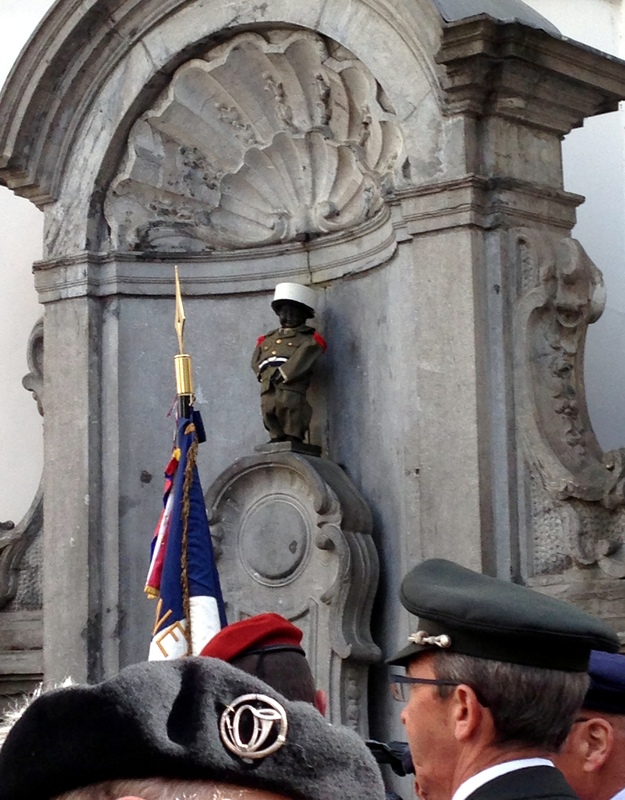 The statue is dressed in costume several times each week, according to a schedule posted on the railings around the fountain by The Friends of Manneken-Pis. http://www.manneken-pis.be Many of these customs are in n a permanent exhibition inside the City Museum. I was lucky enough see it fully dressed with the uniform of the French Foreign Legion on the occasion of their birthday.